Beach plum is a fruiting shrub native to coastal dunes of the rtheastern United States from New Brunswick to Maryland. 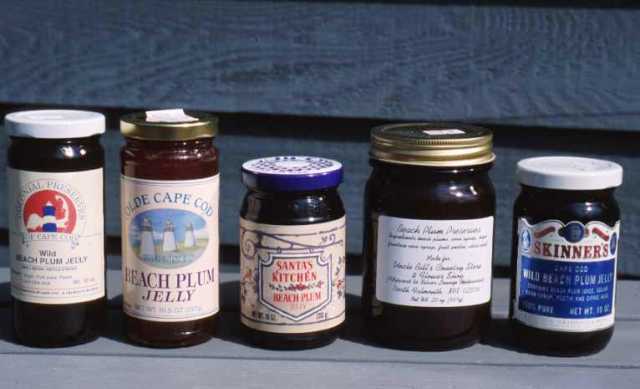 Since colonial times, people have collected wild fruit to make preserves and jelly. Today, native stands still support a cottage beach plum product industry in the Northeast. 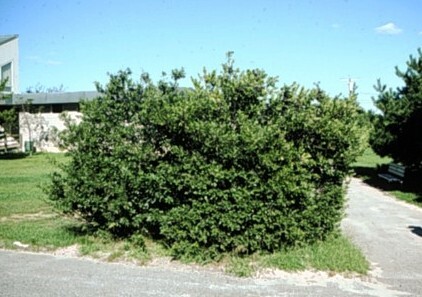 Beach plum is a medium deciduous shrub, rounded, densely branched, with a reddish bark. The plant usually growing upto 2 m but can reach a height of 4 m when under cultivation. This plant is a vigorous grower and grows very fast. Leaves simple, alternate, elliptical, 3-7 cm long and 2-4 cm broad, dull green; margin sharply serrated, petiole absent, glands present near leaf base. Flowers white, solitary, 1.2 cm wide; sepals pubescent on inside surface, petals, white. 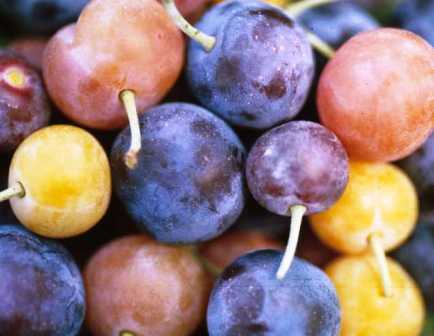 Fruits ranging in colour from purplish black to red and yellow, 2.5 cm in diameter, edible. 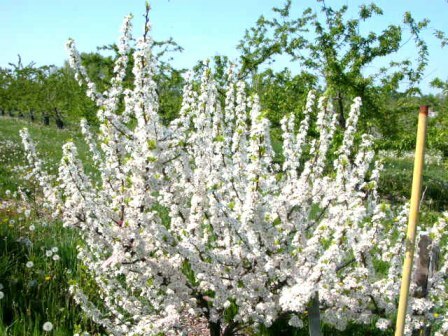 Flowering takes place in May and fruits are ready in August. The fruits are eaten. These are also used to make a jam. Beach plum is hardy to Zone 3. The plant is salt-tolerant. It prefers the full sun and well-drained soil. It spreads roots by putting out suckers. In dunes it is often partly buried in drifting sand. Beach plum is grown for its fruit to a small extent. A project is in progress on the commercial cultivation of this fruit at Cornell University. But still there does not seem to be much scope for growing as an orchard fruit. However it is suitable for growing as a specimen plant or as patio plant for the flowering effect. New trees are raised by softwood cuttings. A few varieties of beach plum is also available. One has yellow fruits and is mostly available in Cape Cod area. Others like Estham, Hancock and Squibnocket are superior selections having larger and better flavoured fruits.